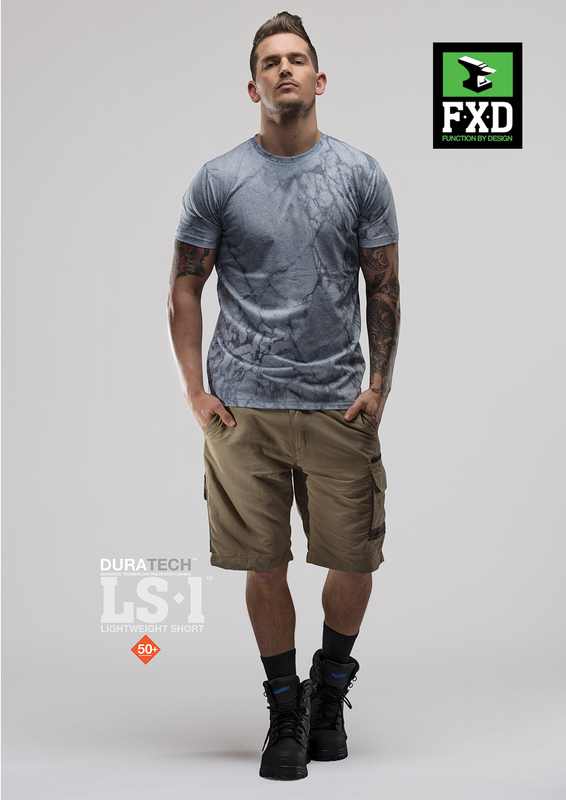 FXD Workwear has been designing and making purpoise-built, technical apparel for boardsports and streetwear for 25 years. They work hard and play harder. FXD Workwear brings a better look and better function through carefully designed and styled workwear that exceeds all current standards and looks killer doing it. Sewgraphic Embroidery stocks a huge range of FXD work pants, work shorts, work shirts, jackets, socks and work boots! Visit us at 97 Curlewis Street, Swan Hill, to try on our range of FXD products and browse the catalogue. Hover over image for description (click image on mobile). Check out the new FXD work boots. These work boots feature a de-bossed microfiber collar, medial zip entry, breathable upper, lightweight composite safety toe and lightweight NITROLITE™ midsole cushioning. WB-1 is FXD's most supportive style with a taller debossed microfiber collar, medial zip entry, breathable upper, lightweight composite safety toe, and lightweight NITROLITE™ midsole cushioning. WB-2 is FXD's mid height safety boot style with debossed microfibre collar, medial zip entry, lightweight composite safety toe and lightweight Upper material: Nubuck/Microfiber/Urethane Mesh/TPU NITROLITE™ midsole cushioning.